Malaysian Airlines under new CEO Christoph Mueller who restructured Aer Lingus and revamped Lufthansa is set to retain two thirds of its 20,000 staff and adopt a new name soon. 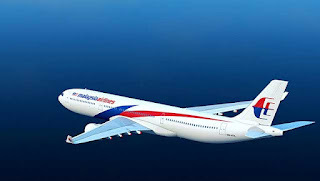 MAS has been financially in trouble for many years and the loss of its 2 aircrafts last year prompted the Malaysian Government to close it down. According to some analysts the new airline will stand a better chance to survive if there are no government interferences. The new CEO, if given a "free hand" should be able to do well. In 1972 Oct, MSA, a joint Singapore-Malaysia airline was split into 2 and that was when SIA and MAS were born. SIA is doing very well but not MAS. We wish Christoph Mueller and the new airline best of luck!